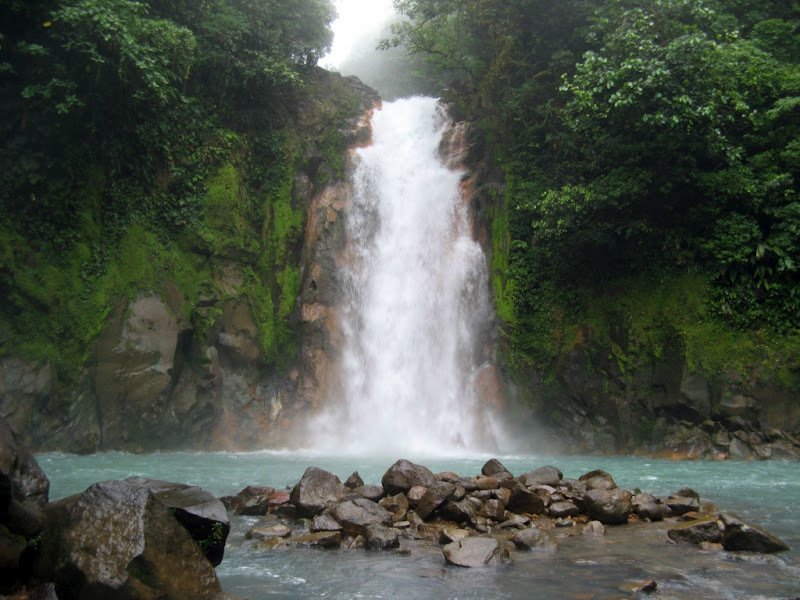 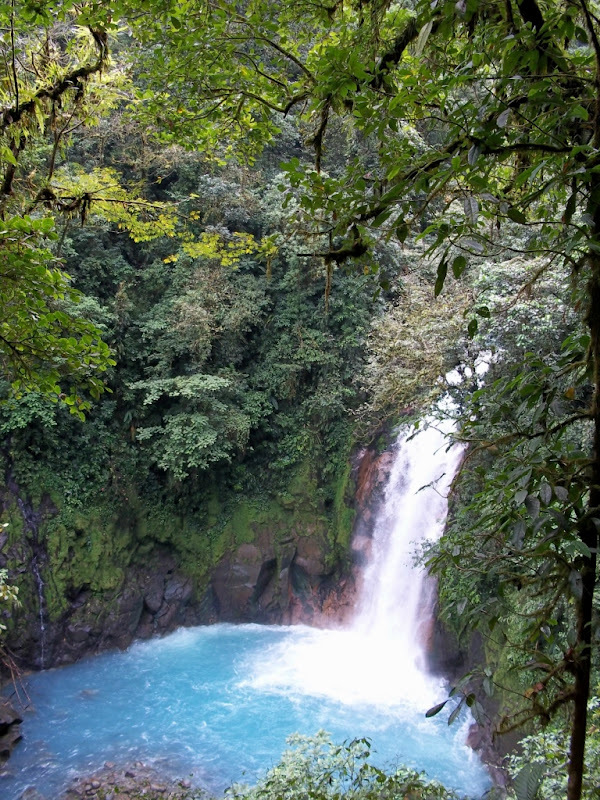 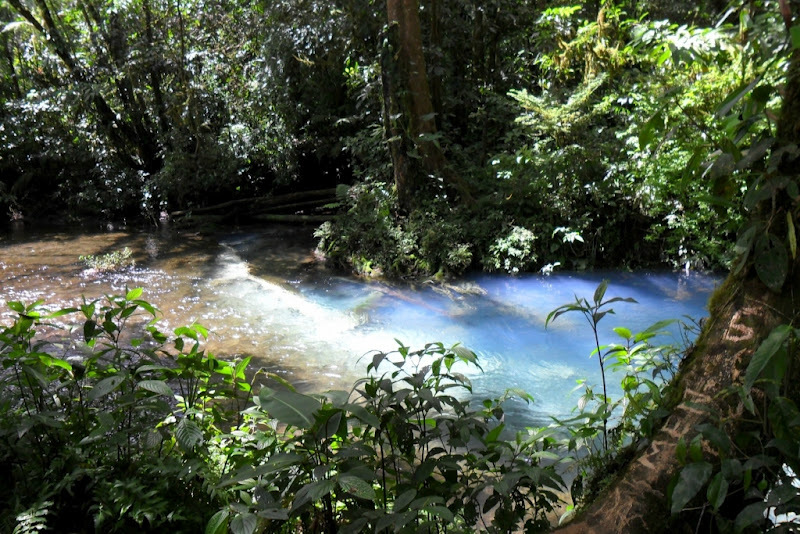 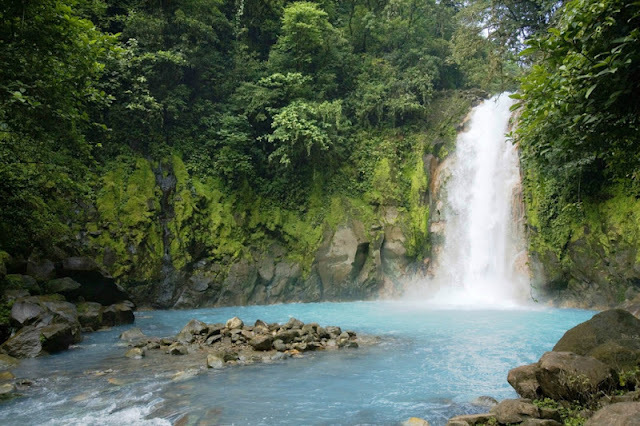 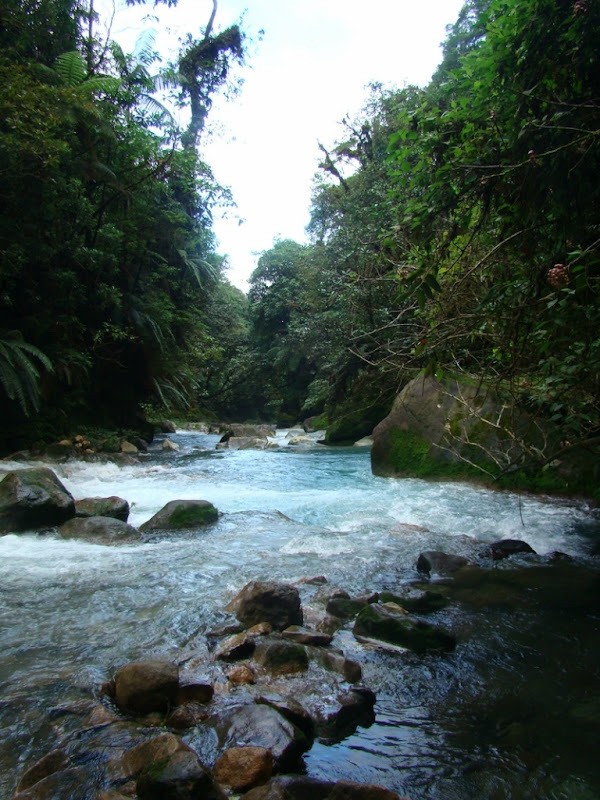 "The Celeste river is located in the Tenorio National Park at Guatuso, Alajuela. 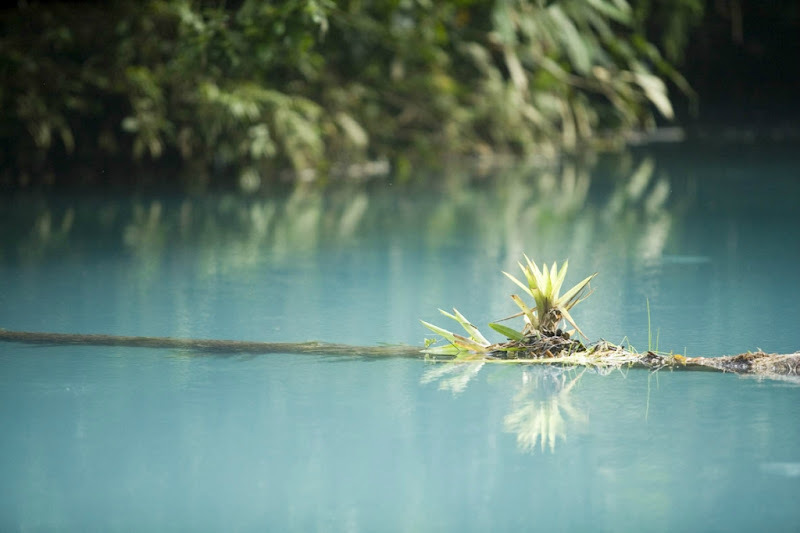 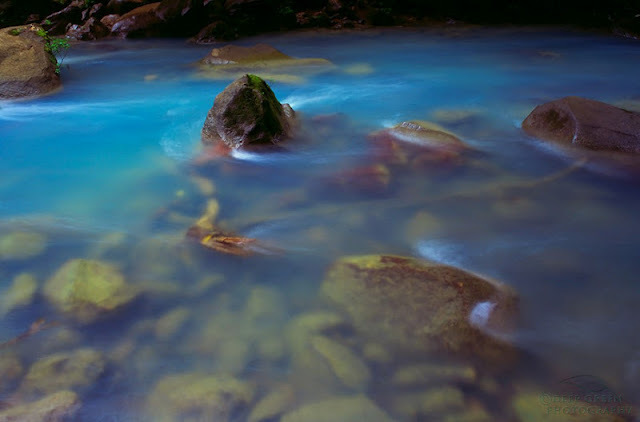 The water of the river has naturally rich turquoise color, by the chemical reaction of sulfur and calcium carbonate with each other give this river water a unique color. This phenomenon is related to volcanic activity in the region." 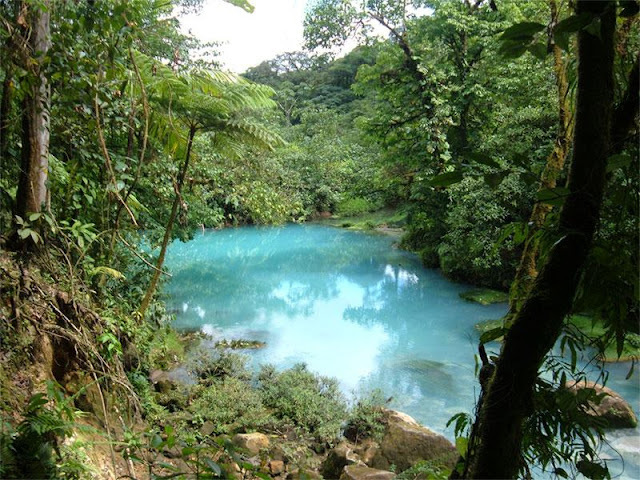 1 response to "Celeste - A River With Turquoise Colour Water"
Cool! 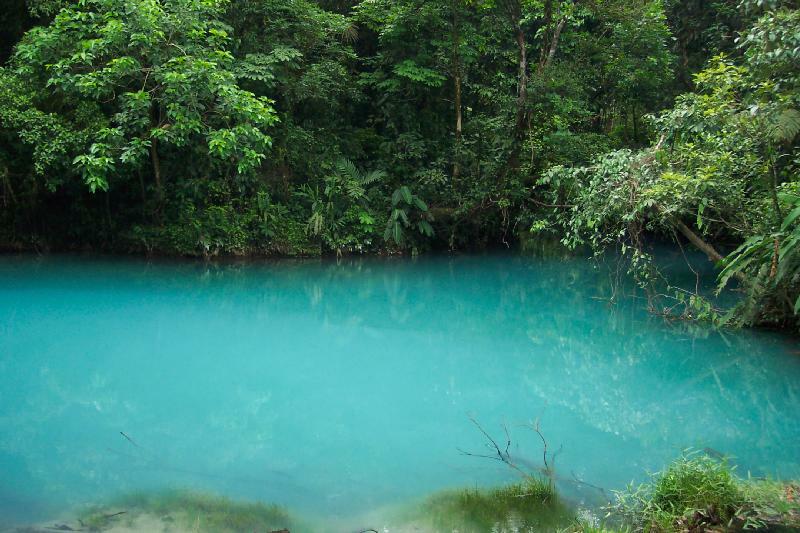 We have rivers and lakes like that here in Canada except the colour is caused by a fine sediment that runs off of the glaciers. 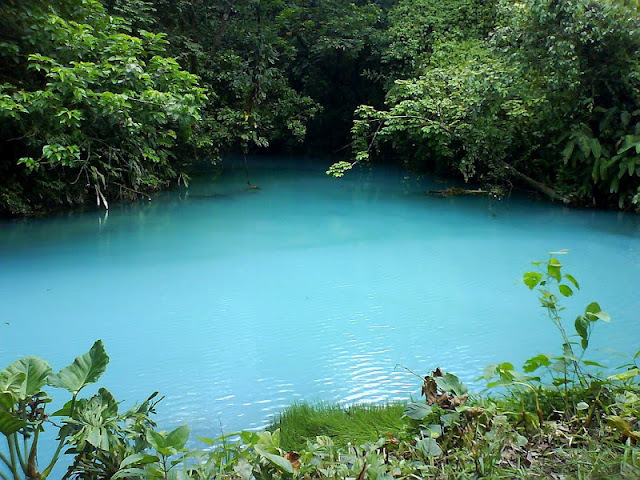 Check out "Lake Louise", its a good example.